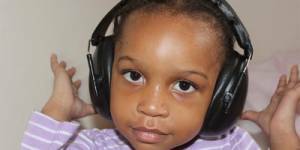 Spoken language development is often delayed in children with deafness. 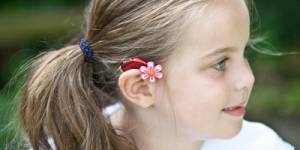 Hearing loss and ear diseases such as otitis media can have a significantly adverse effect on the academic performance of children. However, when opportunities are provided for people with hearing loss to communicate, they can participate on an equal basis with others. The communication may be through spoken/-written language or through sign language. In developing countries, children with hearing loss and deafness rarely receive any schooling. Adults with hearing loss also have a much higher unemployment rate. Among those who are employed, a higher percentage of people with hearing loss are in the lower grades of employment compared with the general workforce. Improving access to education and vocational rehabilitation services, and raising awareness especially among employers about the needs of people with hearing loss, would decrease unemployment rates among this group. In addition to the economic impact of hearing loss at an individual level, hearing loss substantially affects social and economic development in communities.